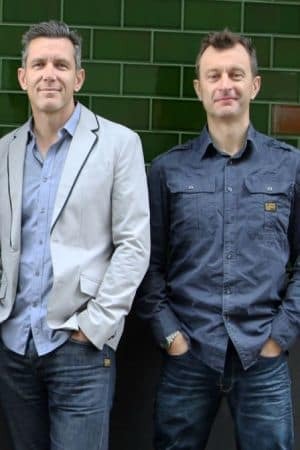 Deepend Group founder and chief executive Matt Griffin and How To Impact (H2i) founder Matt Whale. Independent digital agency Deepend has acquired innovation agency How To Impact (H2i) and in doing so has formed The Deepend Group, which also includes social and PR agency History Will Be Kind and mobile agency Nomad. The four agency group launches today (9 July). Its formation was based on the premise of maintaining specialists but forming a larger agency group that would help them work closer together and bridge digital and innovation. “For us to continue to evolve we needed to look at what made us successful in the past, which was being specialist,” Deepend Group founder and chief executive, Matt Griffin said. “So to have a group of specialists we can then keep trying new things and [tapping into] different businesses without ever becoming a dinosaur of a business,” he said. Adding an innovation agency to the group bridges the gap between the digital and top down strategy, Griffin told AdNews. “People talk about innovation like it's a moniker or something but very few people have acted on it,” he said. H2i was established in Sydney in 2008 by ex ?What If! director Matt Whale and he believes H2i joining The Deepend Group is a natural fit. “I've been thinking more and more recently that innovation is being digitalised and output is being digitalised so I could see that innovation needs to become more digital savvy,” he said. Griffin didn't rule out a further expansion of The Deepend Group suggesting the next specialism in the group's sights could be connected devices. “We're growing the existing teams that we’ve got and we will be looking for other business to acquire if they are appropriate, we've always got our eye out,” said Whale. Clients can either work with individual agencies or as the group as a whole. The partnership sees the Deepend Group headcount increase to 80 plus employees with lead clients including P&O, Aon, Ferrero, Intuit, Merlin Entertainments Group, Royal Agricultural Society, Teachers Health Fund, and Hamilton Island.